This restaurant near Sultan Mosque claims to be the first to serve briyani in Singapore and, considering it's more than 90 years old, it just might be true. Regulars swear by the mutton briyani which is so tender it melts in your mouth, but chicken, fish and vegetarian versions are also available. If you feel the need to try something other than their signature dish they serve murtabak, nasi goreng and Indian-style curries. 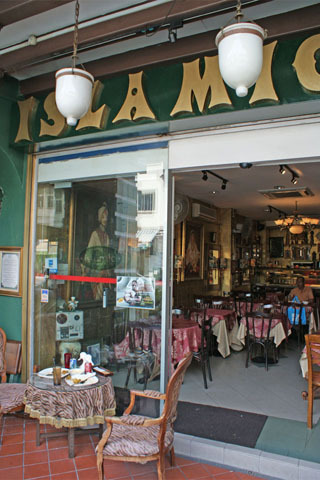 This is one of few Kampong Glam restaurants with style and substance and the dining room is decorated with black and white photos and antique furniture.